Care for a lazy and educational walk with family? Then try Chemperai trail. 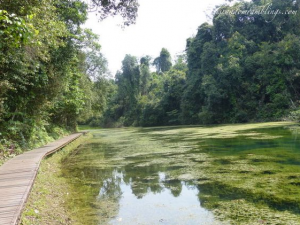 It is around an hour relaxing walking trail along the edge of the oldest reservoir in Singapore. 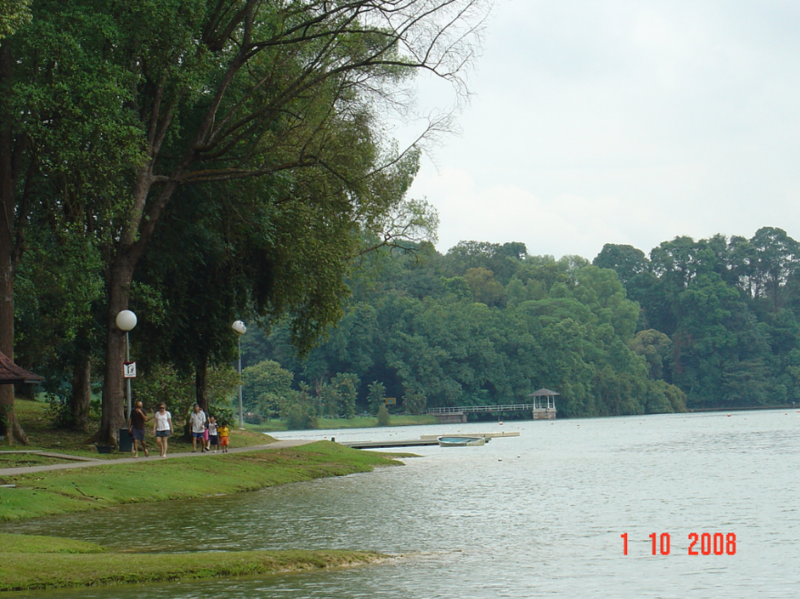 MacRitchie Reservoir was built in 1867-68, and originally known as the Impounding Reservoir or Thomson Reservoir. It is surrounded by more than 500 ha of forests. It offers so many walking trails, one of the most popular is the walking trail to the Treetop Walk. Scenic right? You are actually looking at a carpet moss covering the water! I love this picture above, the water looks like a well maintained lawn! So green and full of life. Makes me want to step on it and lay down. The water is very shallow, you can easily see a thick collection of dead leaves, twigs and branches. A relaxing place indeed! A great therapy not only for the mind and soul but also for the body. The trail is mostly flat, a perfect place for a brisk walk. By Bus: Take bus no. 52, 74, 93, 130, 132, 156, 157, 162, 165, 166, 167, 852, 855 or 980. Alight along Lornie Road at the bus-stop in front of MacRitchie Reservoir Park.By car: The entrance to the MacRitchie Reservoir Park car park is along Lornie Road. Nature is always a great refuge, an outlet from all life’s frustrations. So let’s enjoy nature more and strive to have a great, fit and happy life! Ciao!